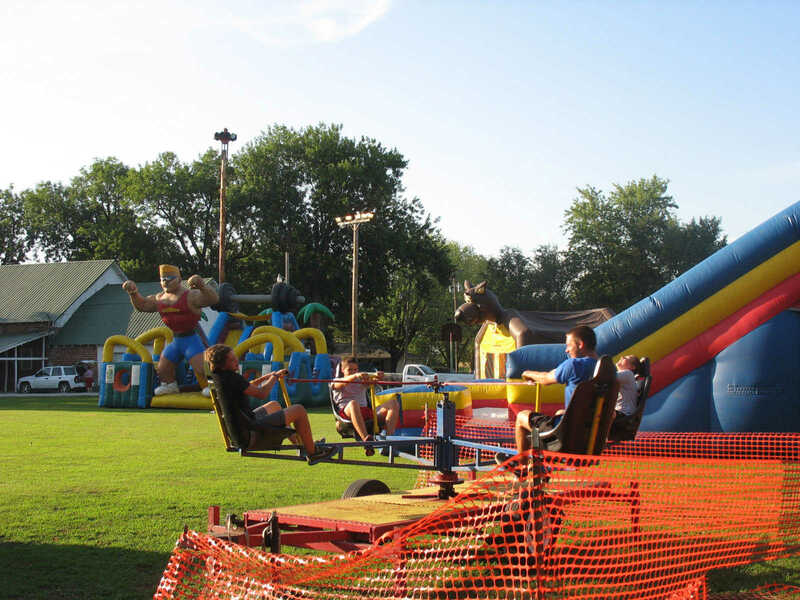 More than 1,200 people crowded the Vernon County town for its 107th annual Old Settlers' Picnic Aug. 18-20. 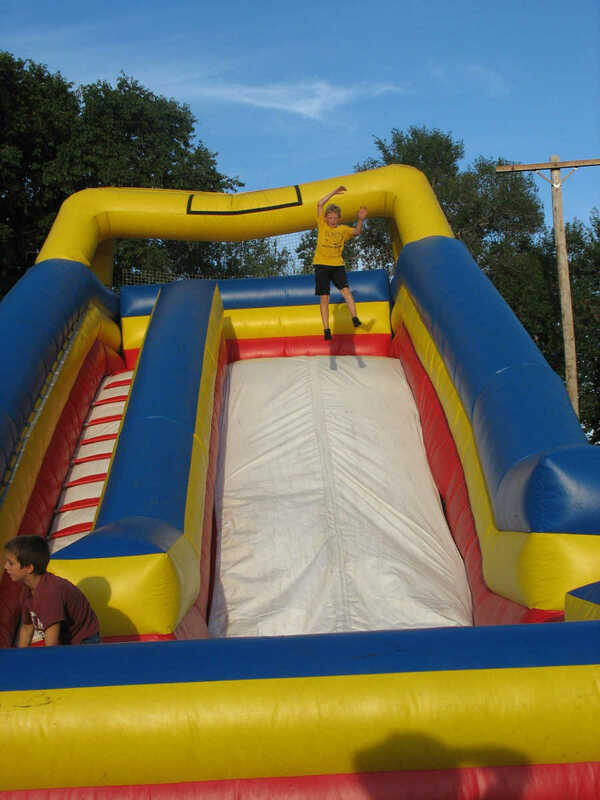 12-year-old Zavery Lamb of Sheldon jumps as high as he can while maintaining his balance to end up at the bottom of this inflatable attraction in a fine fashion at his hometown's Old Settlers' Picnic in the late afternoon of Aug. 19, when hot weather was not deterring an active crowd. 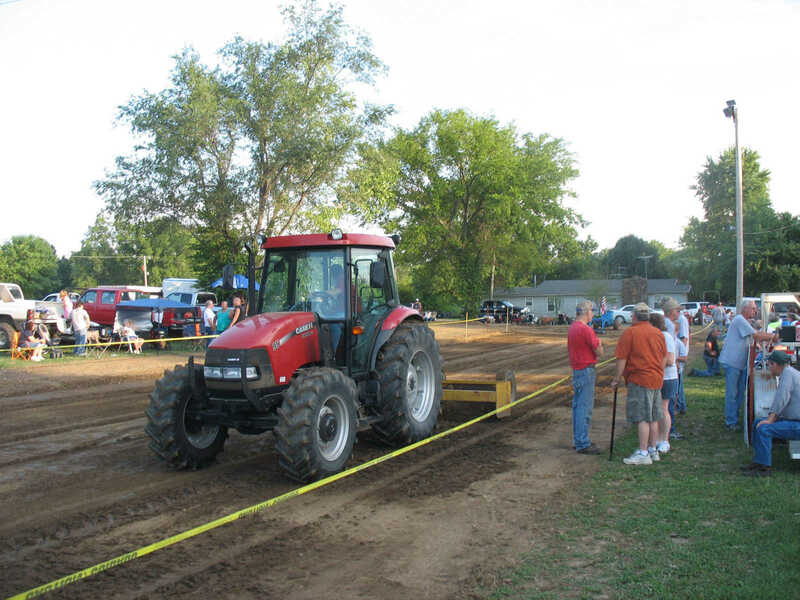 Justin Hancock grades the track for Aug. 19's lawn tractor pull at the Sheldon Old Settlers' Picnic. 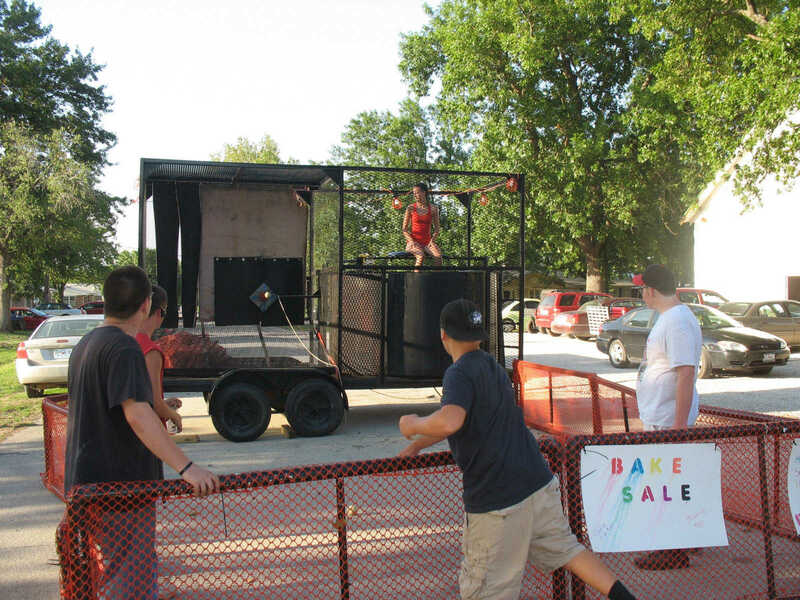 The celebration continued the next day with events including a softball tournament, car show, parade, antique tractor pull, street dance with the Marci Mitchell Band and fireworks display. Jacob Anders of Centralia scores a bull's eye to drop Sheldon's Lexi Rawlings into the dunk tank a split second after the ball hits the target just a shade off dead center. Watching the ball, Lexi braces for yet another sudden descent. 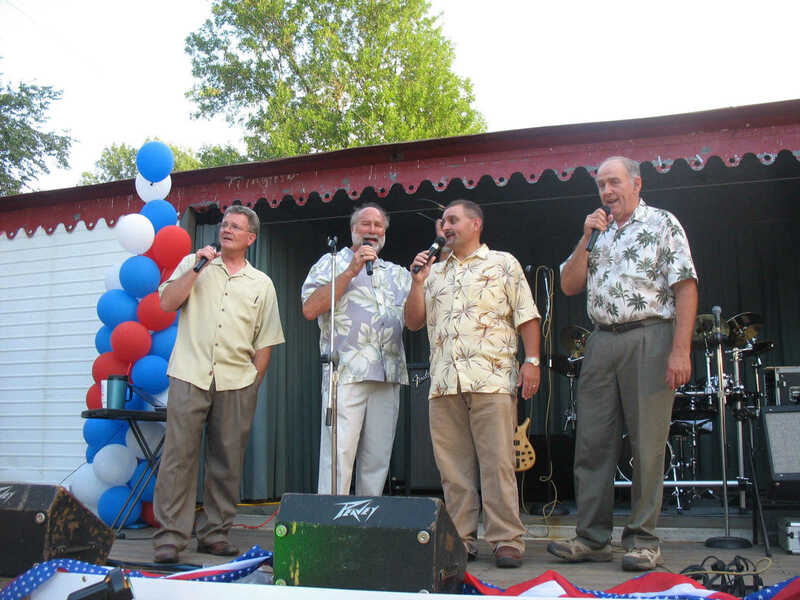 The Kentucky Road Gospel quartet swings into action at the Old Settlers' Picnic in Sheldon Aug. 19. From left are C.K. Warden and Wayne Leavell of Lamar, Chris Hymes of Diamond and Rayburn Mein of Garden City. You can't tell from this stop-action photo, but these teenagers are using hand cranks to power the merry-go-round at high speed at the Sheldon Old Settlers' Picnic Aug. 19. In no particular order are Blake Sanderson of Nevada and Camden Stiles and Taylor and Channing Nielson of Fort Scott. 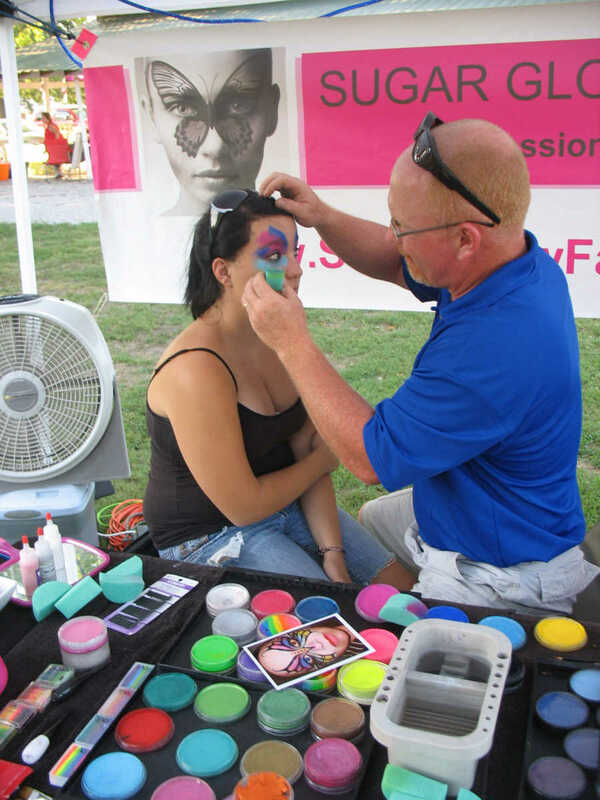 NEVC Coach Brian Sprouse demonstrates his artistic ability in the Sheldon Old Settlers' Picnic face painting booth, where Chasity Dice of Walker went away looking a good deal different. More than 1,200 people took part in the 107th annual celebration.